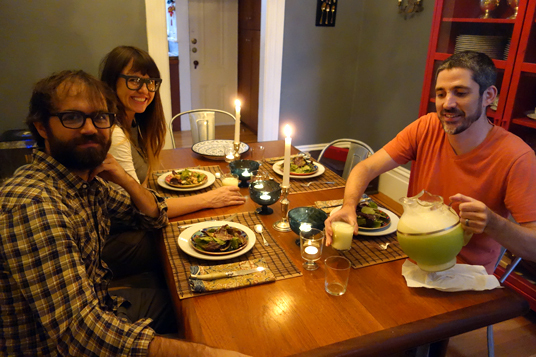 We had an impromptu dinner party on Monday night with Rebecca and Derek. They asked to bring Brazilian lemonade – a delicious concoction made of limes and condensed milk – so I threw together a quick menu using summer produce with a Brazilian flair. For dessert: we grilled nectarines that had been soaking in brown sugar and lemon juice. Topped the caramelized fruit with honey greek yogurt ice cream. I love an excuse to break out the silver and candles a weeknight! Next Post: Weekends: Happy Birthday Dad! so tasty! 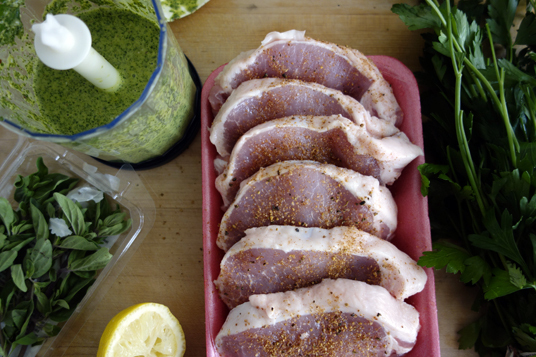 i want to pour that chimmichurri sauce on everything.